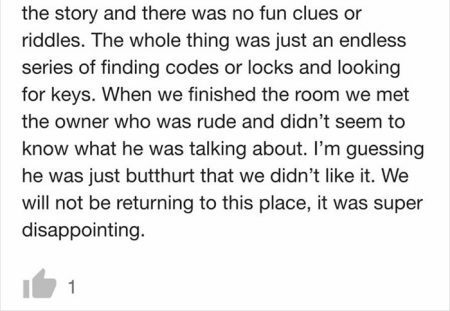 It can be a lot of fun reading a devastating review of somewhere on a site like Trip Advisor – the delight’s in the detail of someone’s miserable experience (as long as it’s not ours). 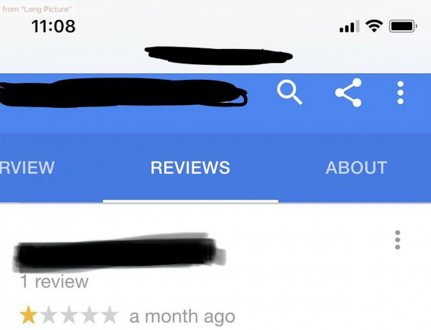 But it’s nothing compared to the satisfaction that’s gained from someone posting a one-star review and then being comprehensively owned in the response posted by the establishment’s owner. 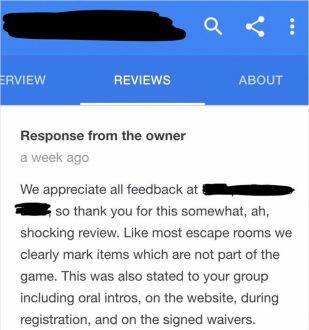 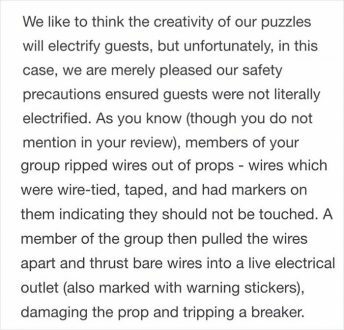 Which is exactly what happened when these visitors to an Escape Room posted a less than favourable review. 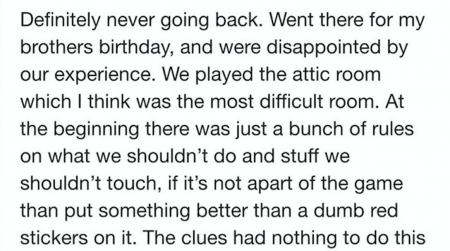 Which turned out to be anything but the end of the story when the Escape Room owner took the time to post a response – subsequently shared on Reddit – and, well, it’s as enjoyable as it is enlightening.